The "other" Large Stars 1807. 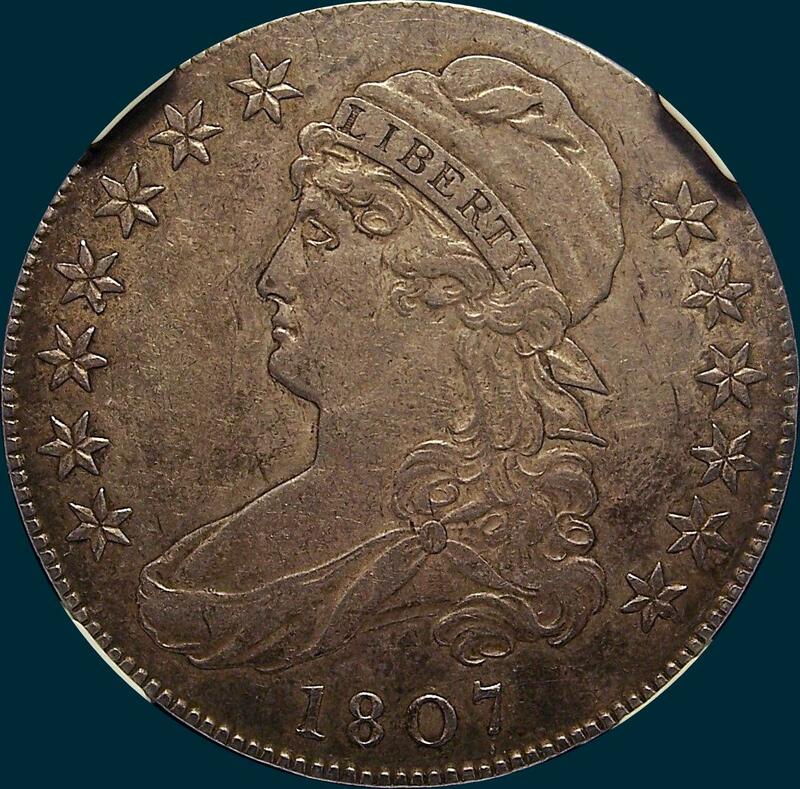 This die marriage is slightly less common than the O-113 Small Stars. There are a few MS examples and a small group of AU's, but these examples do not make many appearances on the market. There is also an "a" die state that exhibibits cracks yet is not listed in Overton. It is suggested to be an R5+, and 2 of the top 5 in my census have these cracks. As such, there are images of this late die state at the bottom of the page. 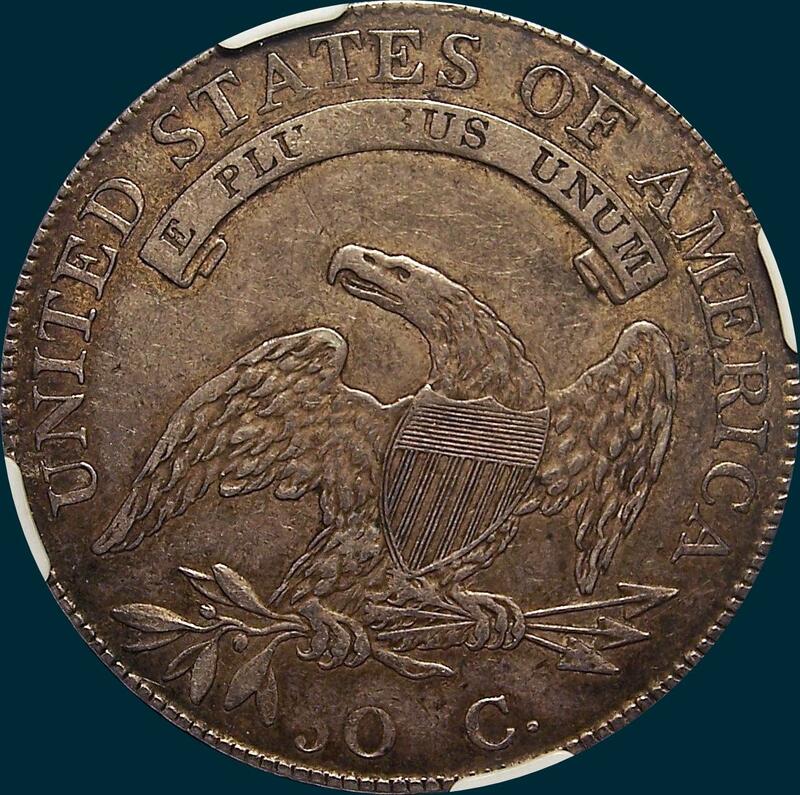 First year of issue for the ever-popular Capped Bust Half Dollar series, and a handsome AU toned in sandy-gray and copper-gray patina. Expectably bold in detail at the assigned grade level, with rather smooth-looking surfaces that reveal no abrasions or other blemishes of note. A portion of the reverse scroll is weak due to the strike. Variety Attribution: Obverse-Stars large and well formed. LIBERTY has cross lines in bottom of letters and B is unfinished at top. Date is 7 3/4 mm. with slender figures. Small die defect lumps below stand of 7 and between star 11 and milling. 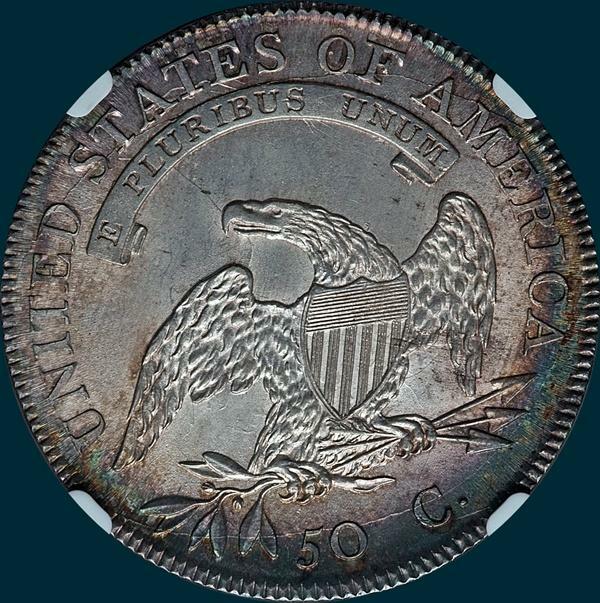 Reverse: 50 C. is 3mm. with small slender figures. The two lower arrowheads are firmly joined, while the upper one is separate. Arrow to A is a full 1 mm. 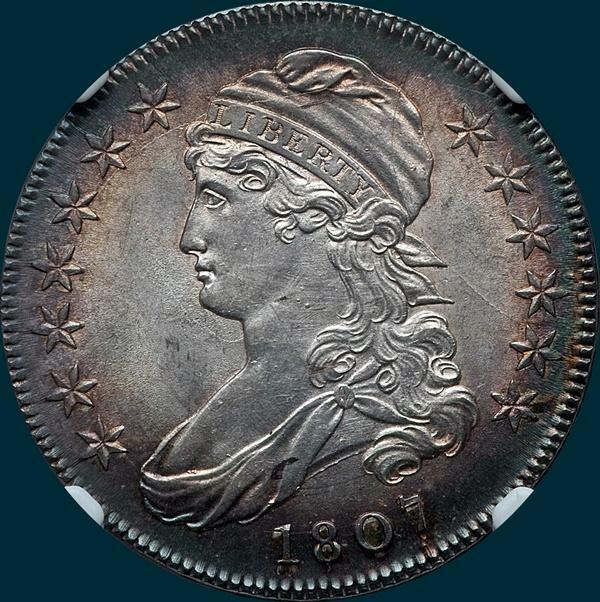 This was the 2nd variety of Capped Bust Half Dollar minted in 1807 and overall. Below is the O-114a late die state not plated in Overton.